If you're still rocking a DROID RAZR M on Verizon, get ready for a little OTA update action. This phone may be last year's news, but it's not forgotten. Well, at least not completely. No, it's not getting an update to 4.2 (let alone something newer). Instead, this is mostly a maintenance update. The update includes a new version of Verizon's backup assistant, a more accurate GPS icon, improved HDMI performance, and the ability to use Rapid Charging while the device is off. Nice stuff to have, but you don't have to wait with bated breath for the notification to come through. 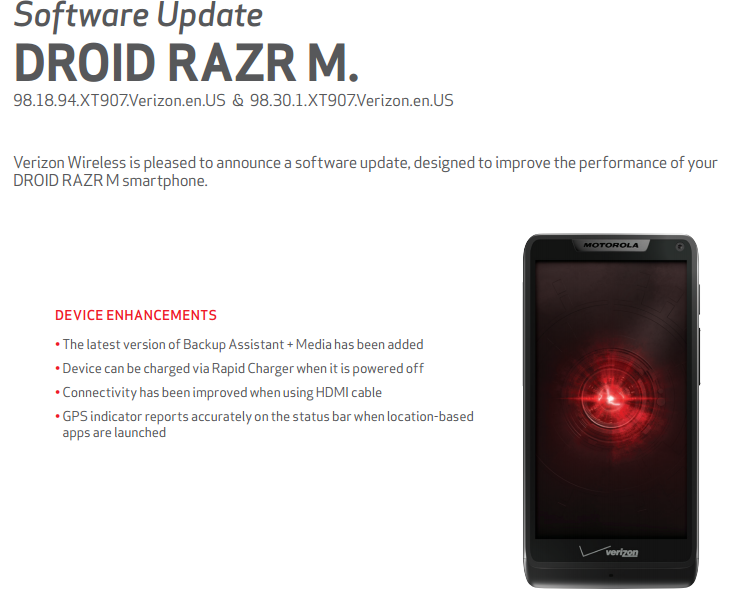 This is the first update for the RAZR M in about 7 months, and Motorola hasn't announced any plans to take the device past Android 4.1.2. 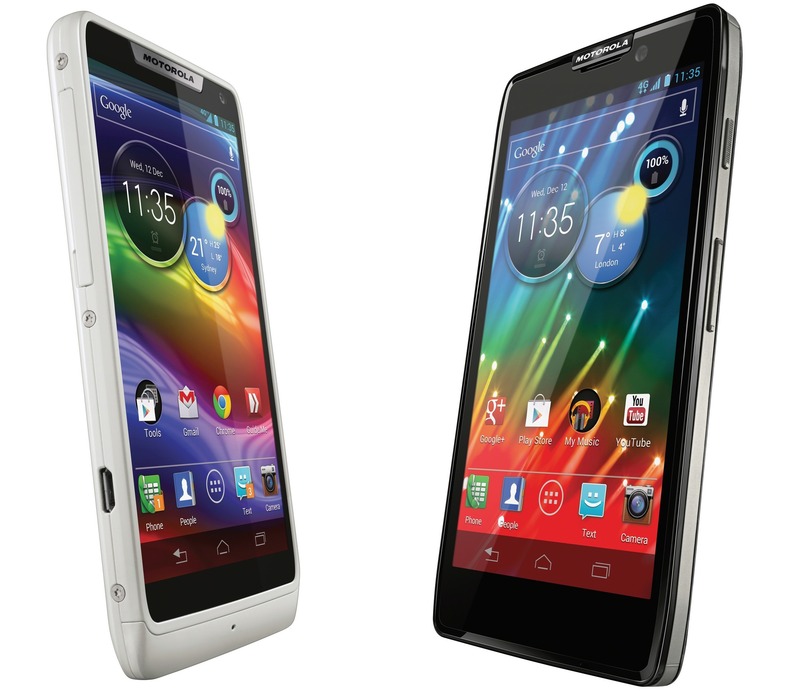 There also appear to be two versions of the update going out – 98.18.94.XT907 and 98.30.1.XT907. It's not clear what the difference is, though.